1901 Green Roof Planter Drain & Overflow Standpipe - Jay R. Smith MFG Co. This Green Roof Planter Drain perfect for intensive roof designs and includes a secured solid or perforated cover, perforated gravel stop with 3/8” openings and combination flashing clamp and gravel stop. 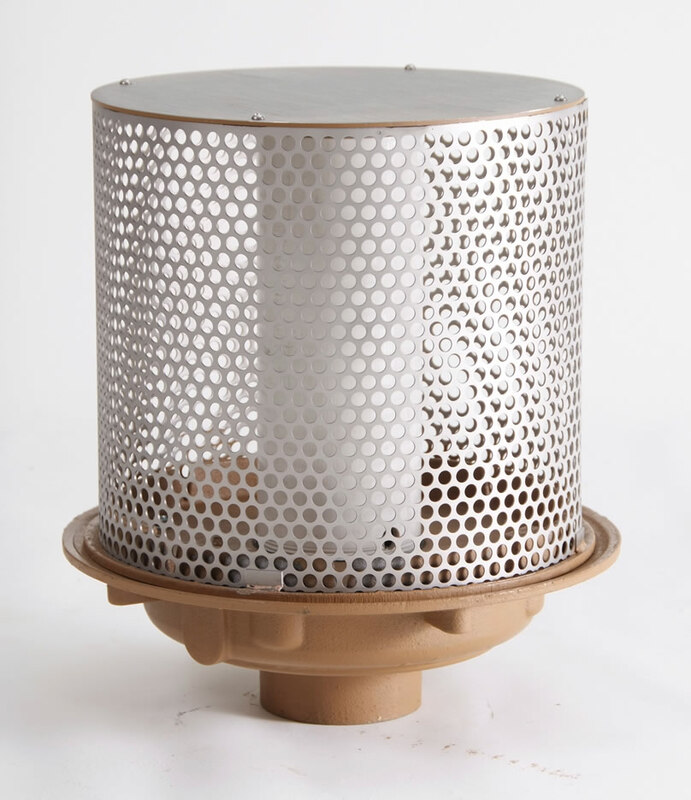 Duco Cast Iron Body, Flashing Clamp and Stainless Steel Perforated Gravel Stop with P.V.C. Standpipe with Orifice.